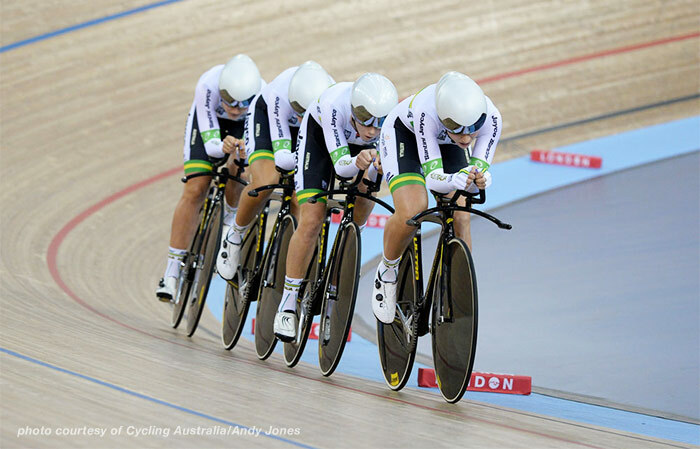 The Australian National Track team has a long history of competing at the highest level of the sport. In particular, the women’s team pursuit has been one of their strongest events. The team won Gold at the 2015 World Championships, solidifying their place as medal contenders for the 2016 Olympic Games in Rio. I talked with two team coaches, Gary Sutton, the Head Coach of the Women’s Endurance Track Team, and Katie Slattery, the Senior Physiologist at the New South Wales Institute of Sport to learn how they have leveraged TrainingPeaks to analyze and plan for the team. Having a way to quickly and efficiently view data and communicate not only with coaches but also each athlete is critical for Sutton. “What I love about TrainingPeaks is the communication that we can have and it doesn’t matter where they are. The first thing in the morning, I can see the data, read the comments, and get back straight away if I need to,” he says. The athletes have also seen how data and TrainingPeaks can help them achieve their goals, though it was a bit of an issue early on. Some athletes struggled with putting all of their data into TrainingPeaks, until Sutton found a very compelling way to motivate them. “I came up with this wonderful idea that if they didn’t do it, I would dock them a month’s pay,” he recalls. “It’s marvelous how they have changed. Now, it’s not an issue and no one has lost any money.” One athlete in particular was so worried that she used the track’s wifi and Autosync feature to ensure her data was uploaded immediately. “They’ve really taken ownership over their TrainingPeaks and they use it as their diary. They feel naked if they don’t have power data,” says Slattery. For the Olympic Games in Rio, the coaches will be looking back at the different approaches they have taken for major events and take the lessons learned to create the best plan. “When you have four athletes in a team and you need them all going fantastic on a one day, that happens once or twice a year. It happened for us in Paris (the 2015 World Championships)”, says Sutton. 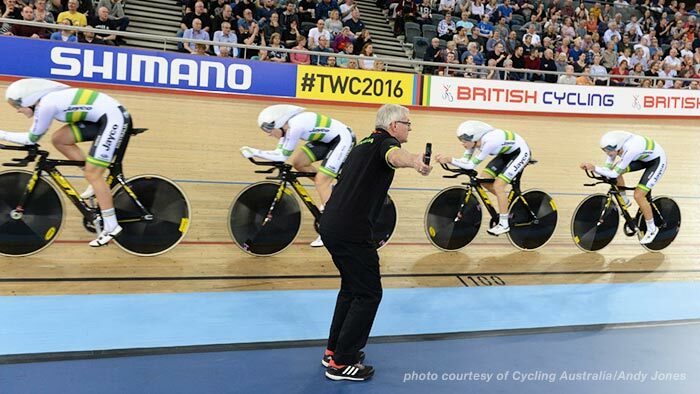 With the help of TrainingPeaks, the coaches supporting the Australian women’s pursuit team can dial in each training session and create the right program to help the team achieve their goal. The team will line up, knowing that they, and their coaches, have done everything they can to take home the Gold.